Trained in oil appliances and registered with Oftec. Vos Heating services is always up to date with the latest regulations, standards and health and safety requirements. We have experience in working with all the leading manufacturers of industrial heating equipment which allows us to offer a wide range of solutions to meet your heating requirements. Unit heaters are an indirect gas and oil fired unit which can be suspended from the roof or wall where floor space is at a premium. Cabinet heaters are an indirect gas and oil fired floor mounted unit which is ideal for medium to large spaces with a high heat input requirement. 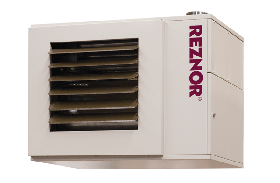 Heat recovery units are a simple low energy, low maintenance unit which will recirculate high level hot air. 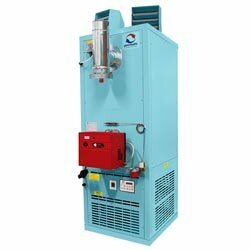 The Powrmaster range of gas and oil-fired air rotation heaters are specifically designed for the efficient heating of large areas and are especially suitable for open plan warehousing and manufacturing facilities. In utilising high efficiency axial fans to move large volumes of air, these heaters achieve a uniformity in the distribution of heated air that cannot be matched by conventional units that treat low volumes of air at high temperature.